Made in Spain. In stock. 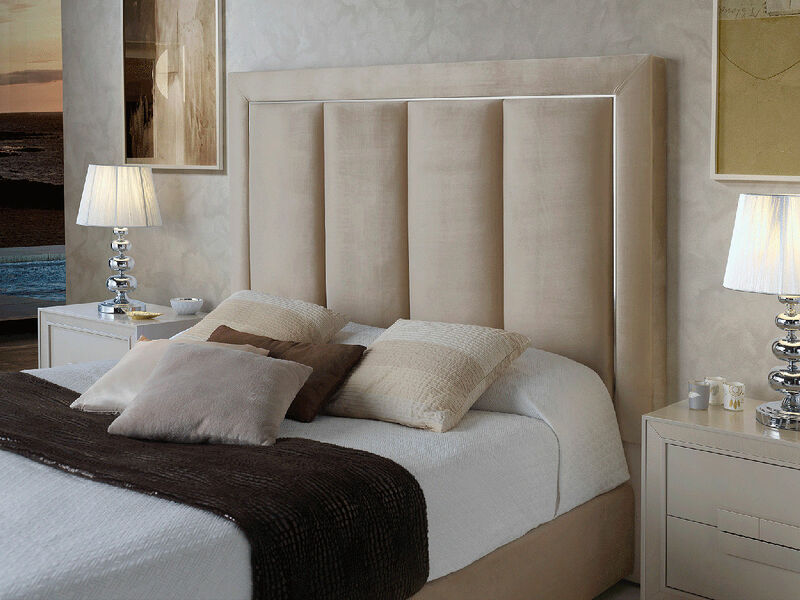 High headboard made of soft velvet in Beige color. Wooden night stands matching in sand color. 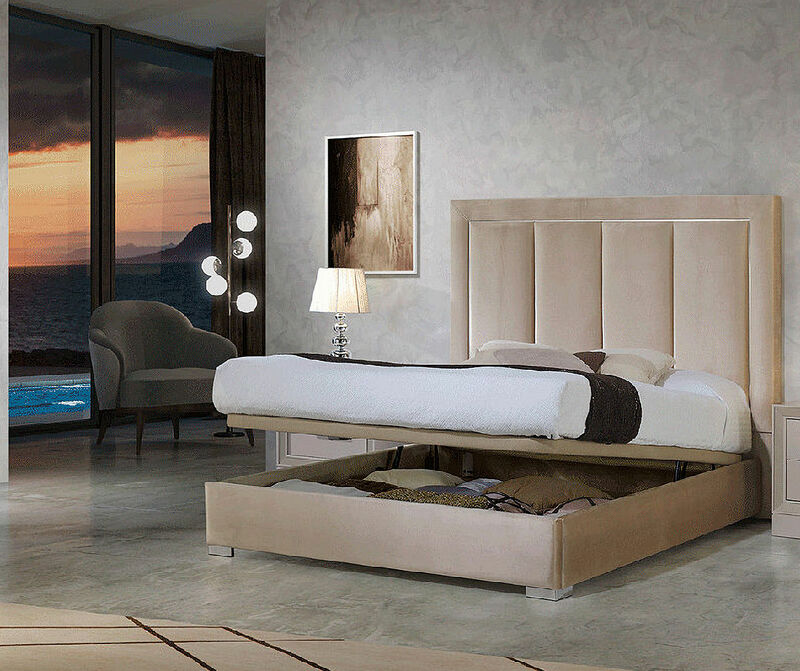 Contemporary bedroom set made in Spain. In stock. Lift-up storage bed. Dresser and night stands with soft closing drawers.